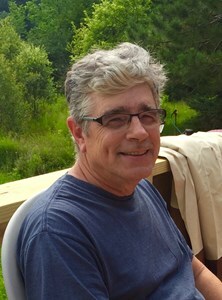 James George Lascaris, age 65, of Worcester, passed away peacefully in his sleep on Friday, February 8, 2019. He was born on August 3, 1953 in Albany, NY. He graduated from CBA in 1971 and went on to Buffalo State University, graduating with a BA in Electronic Engineering. He worked for the CIA from 1977-84 in McLean, VA as a Counter-Terrorist, designing sensitive tracking and surveillance equipment. He later worked for Condor Systems Inc. and Raytheon in the same capacity for various government contracts retiring in 2006. He grew up in Albany, NY and recently purchased and lived at his camp, affectionately called Malaka Meadows, on top of his mountain in Decatur, NY. He was the son of George James Lascaris (predeceased) and survived by his mother, Elizabeth M. Lascaris and his sister, Theodora A. Lascaris and her husband, Andrew H. George and step-niece, Sara (Will) Roth and step-nephew, Brian George. He is also survived by several cousins. Viewing will take place from 10-11 AM on Wednesday, February 13th and immediately followed by a Trisagion Service at St.Sophia's Greek Orthodox Church,440 Whitehall Rd, Albany, NY 12208. Interment will follow at Graceland Cemetery. In lieu of flowers, donations may be made to St.Sophia's Greek Orthodox Church in Albany. Add your memories to the guest book of James Lascaris. Jimmy and I spent countless hours together in the mountains. I will miss him a lot! Jimmy and l became close when he came back to his parents in Albany from Virginia . I would go over and cut his Dad's hair. He, his mom, sister and l would have great conversations, coffee and sweets. One other great memory was when Jimmy took Tedi and l to Ausable Chasm hiking. I was also fortunate enough to see his camp,he loved it there. Although l won't make it to the service, l am with you all in spirit ! Teddie, Andy and Family: Our deepest condolences on the passing of your brother, Jimmy. He was a real character and Rose and I enjoyed our time with him. As you are aware we are out of town and unable to express our support in person. Rest assured that we are thinking of you at this time and remembering him in our thoughts and prayers.